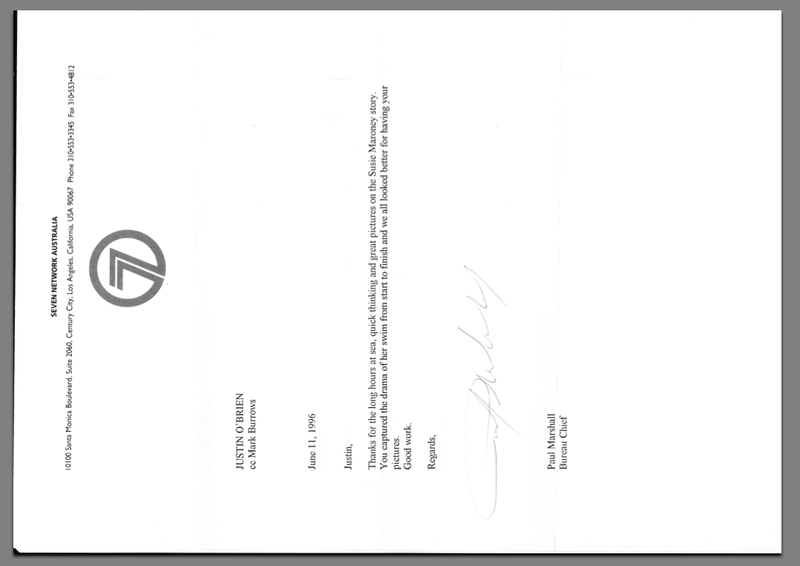 The following are letters of congratulations and thank you’s in recognition of outstanding news coverage. 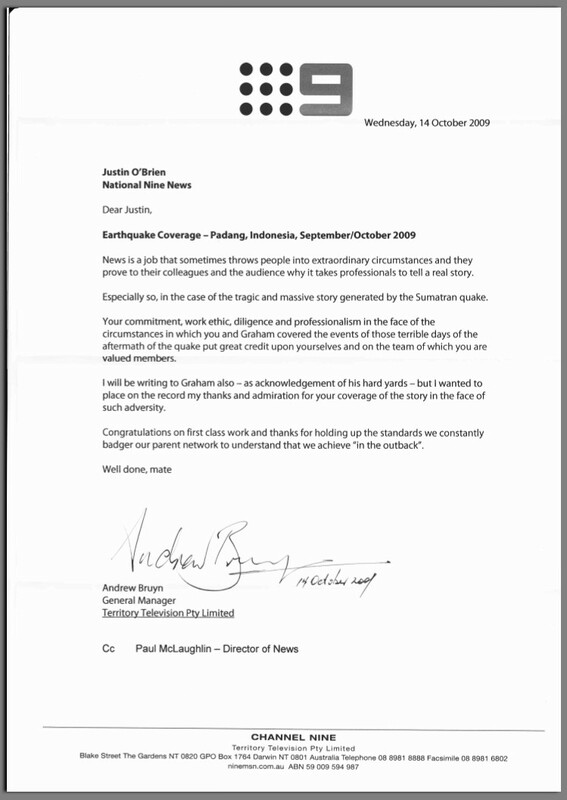 Recognition of coverage during the 2009 Indonesian Earthquake. 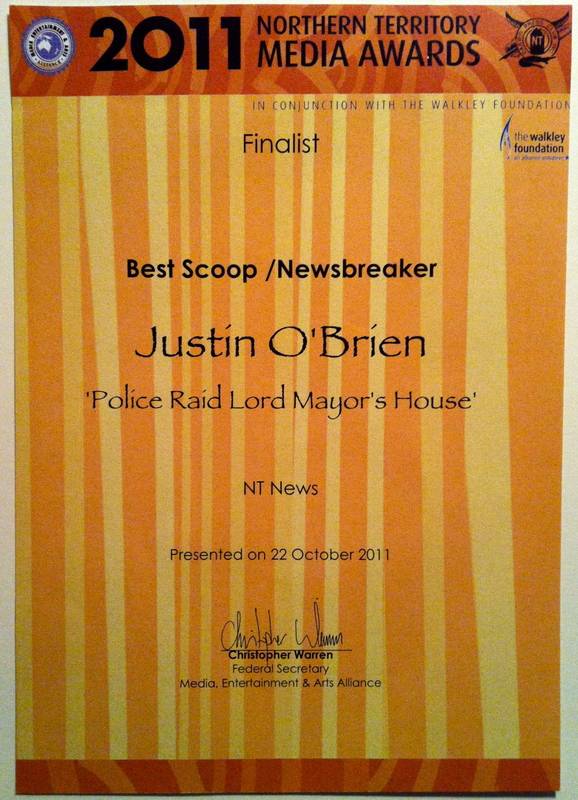 Recognition of coverage during the Iraq War 2003. 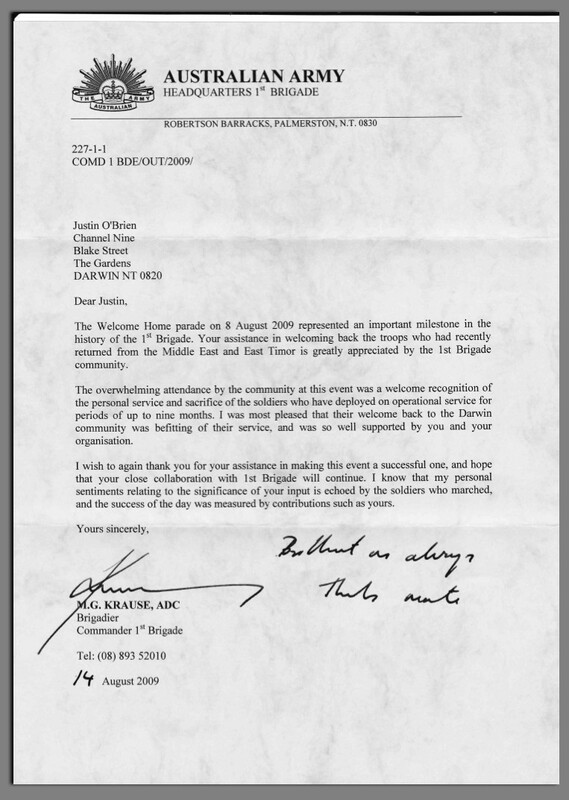 Recognition of reports about Australian soldier's based in Darwin. 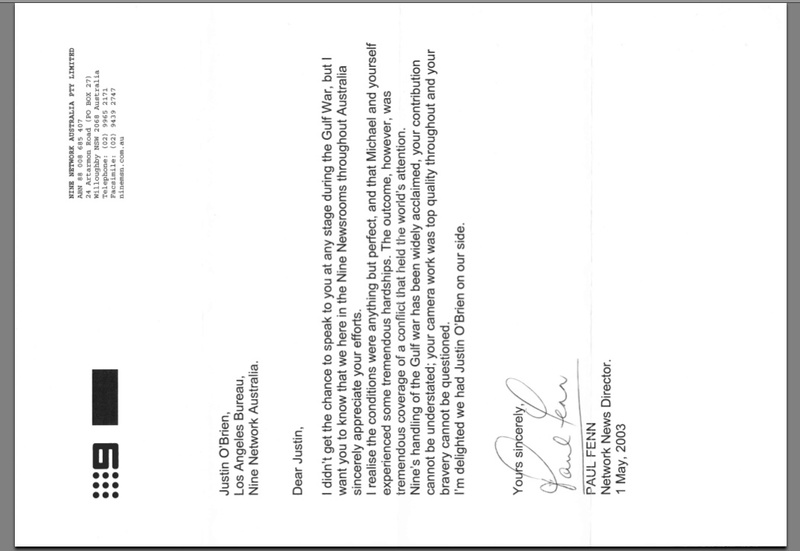 Recognition of coverage during a record attempt to swim from Cuba to Florida 2006. Reference for assistance in New York during the Yankees World Series Victory 1998. 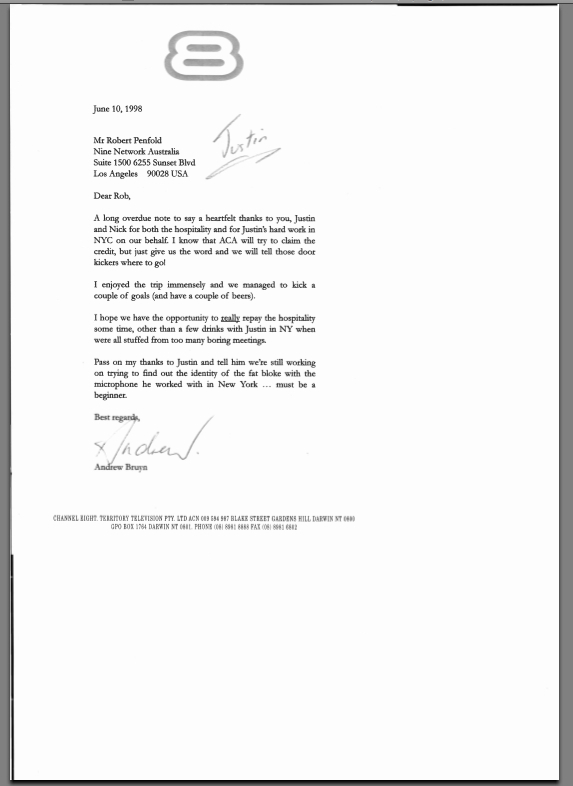 Personal reference from Laurie Oakes - Parliament House Bureau, Canberra 1993. 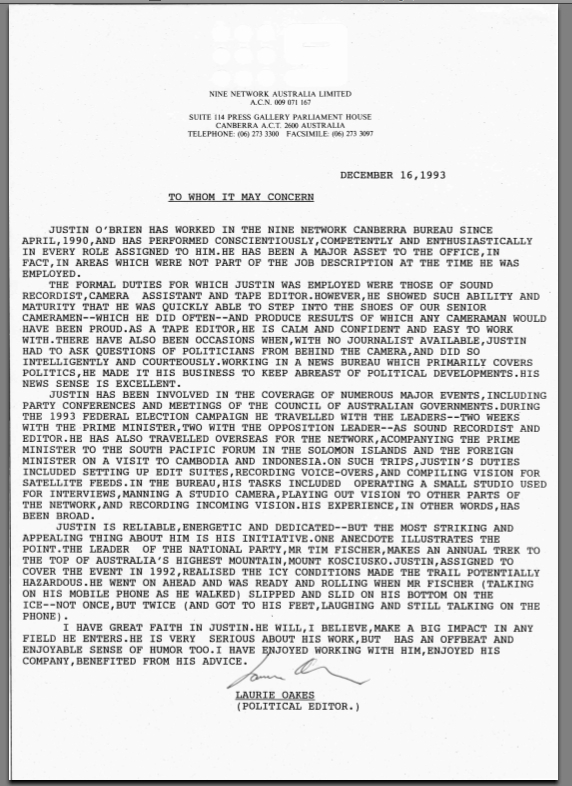 Read the original Laurie Oakes Reference here.